Basketball is such a game of matchups and adjustments, individual duels and coaching tete-a-tetes. And, because of all of this, it really lends itself–from the spectator’s viewpoint–a perfect sport for the series. This is why I love the NBA playoffs. The NCAA tournament is the best sporting event going, but the one thing that the NBA playoffs has on it is the intrigue of the series. If the NCAA tournament decided to play best-of-seven series starting in the Sweet 16, it would become literally perfect, as a sporting event. In fact, it would be so good, that I might not ever watch any other sporting event (and, I probably wouldn’t be able to anyway, since it would take most of the year to play). But, the NBA playoffs has these matchups, these adjustments from game to game that just doesn’t happen anywhere else in sports. Baseball plays series, but the nature of the game–namel, that the only real head-to-head athletic “matchup” is between pitcher and batter and the pitcher is different every game–does not lend itself to any real adjustments from game to game. There, obviously, is incredible intrigue in baseball series directly resulting from the different pitching matchups and whatnot, but these between-game adjustments and strategies do not happen anywhere near the extent to which they do in basketball, when it is the same 5 starters and 7 reserves against the same 5 starters and 7 reserves for seven straight games over one two-week period. Football would be incredible when it comes to coaching between games of a series, but the severity of the sport makes it just about impossible, physically, to have a series (unless you decided to scrap the playoffs and take the best regular-season teams from each conference and play a “Super Series,” but clearly a 16-game season cannot possibly give us enough clarity to accurately reward just two playoff teams). Basketball gives us a gruelingly long regular season, that does a good job at accurately selecting and seeding the teams. It also allows us ample fodder for analysis of what team matches up best with what other team, what player is going to go mano-a-mano with what other player, what coach will be scheming to stop what system, and so on and so on. This is what makes the NBA Playoffs so uniquely awesome. Unfortunately, because of a variety of life factors (mainly because I get paid to something other than watch sports unfortunately), I have not been able to watch see all these little nuances this year, but I have, as the dedicated sports enthusiast as I am, been able to catch a good amount of games and feel as if I have a bird’s eye view of the 2009 Playoffs. Then again, there is so much more to know. That is why, instead of doing amateur analysis, I am going to venture into these playoffs through the medium of rhetorical questioning. Some will have answers, some will have conjectures, so will have absolutely nothing. I just hope it makes a little bit of sense when it’s all complete. How long would the series have to be for it NOT to have been a sweep? Best of 13? 19? 107? Was Chauncey Billups really that good? When can we officially dub LeBron the “best player ever?” Is it blasphemous to even post such a thing? Okay, I know it’s too early now. Yes, I saw MJ, in his prime, and if you know me, you’ll know that there are very few people who hold His Airness is such high esteem. I have even called him the best athlete in the history of the world, narrowly edging out Alexander the Great. BUT…is there really any doubt that LeBron will go down as a better player than Michael? Honestly? Where is LeBron’s Pippen? Where is LeBron’s Coach Jackson? Mo Williams and Mike Brown? Really? The only valid response to any of this is: where are LeBron’s six rings? Okay, fair, enough, I’ll shut up from now until 2017, but don’t forget that I said it now, in 2009. Is it sad, even a little bit, that these great Pistons teams are pretty much dead? Has there been a better first-round coaching matchup? Is I was a 7-foot European basketball player, would I grow feminine hair, sweat like a pig, have incredible finesse, and be afraid of any contact whatsoever? Like is this a nature-nurture kind of thing that we shouldn’t mock for fear of unfairly stereotyping? Is Pau Gasol the most underrated player in basketball? Were those two questions really stupid to post back-to-back? Would anyone complain if we scratched the rest of the playoffs and just had these two teams play over and over again every night for six weeks before starting the Lakers-Cavs Finals in Cleveland? Honestly? No, really, this series has been so incredible, that I will be rooting hard for the Bulls tonight, simply because I want a Game 7. For the second time this week, I will find myself struggling to pay attention to the hometown Sixers because this other series–in which I have nothing emotionally invested and between two teams that will not win the title–is just so riveting. Does anyone else get pissed off when announcers keep talking about this being the battle to see who is the best UConn Huskie of all-time? Now, I am not a huge Ray Allen fan, but hasn’t he had a career that Ben Gordon won’t even touch if he reaches his ultimate “upside?” And, if the Bulls win this first-round series, does that mean that Ben Gordon (26 years old) is a better career player than Ray Allen (33 years old)? Come on. And, if you’re Rip Hamilton, aren’t you irritated by all of this talk or are you too busy hating AI? For the record, I am generally terrible at seeing pro success in college ballplayers. I thought Lou Roe would be better than Marcus Camby, that Marvin O’Connor would be better than Jameer Nelson, and that Aaron McKie would be better than Eddie Jones and Rick Brunson better than both of them. So, I am going to toot my own horn about Rondo. Why doesn’t Paul Pierce have any scars after being stabbed 18 times in the face? Is that why he only grows patches of beard? How can a home team POSSIBLY lose by 58 points in a playoff game? Is Chauncey Billups really that good? Is the fact that we asked that same question in relation to his current team being great and his former team being terrible the answer to the question? Is the fact that Carmelo was the go-to guy on the 2004 Olympic Team (“The Nightmare Team”), but is not on the 2009 Nuggets team more of an indictment of Team USA or a praise of the Nuggets? How can Tyson Chandler go from “so incredibly bad” to “really pretty good” to “really pretty terrible” in consecutive seasons? Is the West-Posey combo the best ever former A-10 teammate combination on the same pro team in NBA history? If so, what does that say for our conference? Should we lose respect for Dwight Howard for the elbow he threw at Dalembert? Should we lose respect for Dwight Howard for the lack of his team’s confidence in his crunch-time scoring ability/FT shooting? What in the world is DiLeo thinking starting Willie Green over Lou Williams? Am I the only one who sees how much better the team plays with Lou instead of Willie? Would the Sixers be more or less likely to pull off this upset if they had a healthy Elton Brand? Is it depressing that we even have to ask this question? Honestly, I think there is too much heat thrown on Elton’s play this year. Yes, it was a bad deal, but I think it was a bad deal because he’s not healthy. I refuse to be convinced that this team is not better off with a healthy Elton Brand. He’s too good of a player to be a detriment. And, to all those people that say “you won’t win a title with Brand as your highest-paid player,” we sure as hell aren’t winning one without him. This run-and-gun offense is nice and all, but ask Phoenix how good it is in the playoffs. And, the Sixers aren’t one-tenth as good as Phoenix was. Who the hell is Courtney Lee anyway? Yeah, what? In 2006, what odds would you have given me that neither of these teams would be the best in the state of Texas in 2009? Can Manu possibly be that good? The Spurs got hammered in this series, by an aging Mavs team that really isn’t that good. To whimper out in five games is poor. And, everyone seems to think that it would have been totally different if Ginobli had played. Really? Come on, this team is old. Jason Kidd versus Tim Duncan…in 2009…would you call it fantastic? How much does Dirk Nowitzki look like my cousin, Mike? Should I be banished from NBA watching for thinking that Tony Parker may even be underrated? I hate everything about him, starting with his national heritage, but take a look one day at his shooting percentages and remind yourself that he’s a POINT GUARD. He’s unreal. Is it wrong to be sad that the so-called San Antonio “dynasty” is pretty much over? Yes. Yes, it is. And, folks, this is coming from someone who SWEARS by defense and “playing the game right” in every sport. And, I do not agree that this team is boring. They do it right. But…it is so hard to root for a team that whines and moans and complains so much. Really, really hard. Even for me. Has this series even started yet? Is it possible for a series to go seven between two entertaining, athletic, hungry teams to be so incredibly boring? Well, if the Heat win tonight, then, yes, it is possible. This was probably the one non-Sixers series that I was looking forward to the most, and it’s been a complete dud. Like, awful. Should I even waste more time on this series, as it has gone so far? No. How funny will it be if the Rockets finally win a playoff series and it is the first one (as currently constructed) WITHOUT Tracy McGrady? Is anyone else rooting for that? I feel bad because I like McGrady, despite his childish, awful antics this year. But, yes, I am rooting for it because, well, it’s funny. How old is Greg Oden? How unoriginal am I that I just used that joke? How good is Brandon Roy? This is a great storyline because coming out of UW, he put everyone into one of two camps–either people thought he was going to be a star and rookie of the year and all that OR they thought he was purely a product of the Lorenzo Romar system and that his ceiling was as a nice role-player on run-and-gun team. I’m happy that it was the former, even though I believed the latter at the time. Again, my estimation of college players? Not good. Does anyone else believe that no matter who wins this series, that they will give the Lakers a nice tussle in Round Two? Do I have to stop asking inane questions about the NBA Playoffs? Should Dwight Howard be suspended for Game 6 tomorrow night? I think there is no doubt. The elbow was clearly flagrant, it was clearly intentional, and it clearly connected. So, just about by definition, that is a suspension. How great is it that the Eagles beat the Giants to Jeremy Maclin? How early is too early to be concerned about the Phillies pitching staff? This is common knowledge. There is little ambiguity surrounding the meaning of this word, and you can be sure that there is no ambiguity surrounding the word among those that enter into the multi-million dollar varieties that dominate professional sports. So, why the hell are athletes so quick to break this commitment? It drives me absolutely nuts. Sheldon Brown, you signed a SIX-YEAR CONTRACT, in exchange for a meager sum of something in the neighborhood of $30 million, depending on various incentive clauses. How can you possibly say–after only two years, mind you–that now you have “outplayed this contract” and demand a new one or a trade?!? What the hell was the point of signing the contract in the first place? These NFL teams offer security–more security than 99.99% of people in this world–in exchange for playing football for their team. “It’s a good thing for not only myself but my family. The most important part is that I’m glad the Eagles believe in me. Now I’m more anxious to prove that I can be worthy of the signing.” This was a direct quote from Mr. Sheldon Brown at the press conference announcing the deal. Now, as if no one records any of these things, he says, with a straight face, “I’ve always been treated like the red-headed stepchild, even since I was drafted. I’ve always been the nice guy, never said anything. I think they took that for granted.” WHAT?!? They gave you a $7.2 million signing bonus! They offered you a THIRTY MILLION DOLLAR CONTRACT! If that’s being taken for granted, then sign me up. Now, I understand that the NFL is a little different than other sports, in that the teams can unilaterally terminate these contracts, so it does not seem fair, but remember, the players enter this CONTRACT knowing that. That is why they get astronomical signing bonuses (Sheldon’s was a paltry $7.2 million-GUARANTEED). That is why you hear so much about the “guaranteed money.” Sheldon Brown entered a contract, knowing full well what the terms of the contract were, for how long the contract would be valid, and what was expected of him on the field. He gladly accepted the six-year deal, and now he turns around after TWO YEARS and says he’s not happy? Come on, Sheldon. I know, I am also really upset about how they treated Dawkins and Sheppard, but you are under contract. You are still a starting cornerback (at least you were until your little bitchfest) on a defense that finished #3 in the league last year, which just so happens to be the team that drafted you and groomed you–a team that is clealy dedicated to winning, even though they deal with business issues in a cold, calculated, heartless fashion that even Belichick might find counterproductive, at times. Okay, sorry about that. As always, thanks for listening, friends. It’s shaping up to be a great sports weekend, so I’m going to attempt something that has perhaps never been done: a live blog WEEKEND. Now, I know the weather is supposed to be amazing all weekend, but in between getting outside to enjoy it, there is plenty of sporting events to follow. The NFL Draft is tomorrow, the NBA playoffs are in full swing (with the Sixers in action tonight), the Yankees and Red Sox are playing one of their over-hyped series, and the Phils travel to Miami to play the first-place Marlins. Here in New York, I’m not able to watch tonight’s Phils game, but I’m getting to see Johan Santana on the mound tonight in Flushing. So, check in throughout the weekend for this unprecedented event! 7:53 PM: The Sox are out to an early 1-0 lead in Fenway. The Yankee announcers spent the entire first inning discussing an apparent “controversy” involving David Ortiz and Joba Chamberlain. Apparently, Ortiz said yesterday that Joba “better not throw at us”, or something like that. What a dumb, fabricated story line. Last year, Joba hit Kevin Youkilis a couple times. So, obviously, some reporter asked Ortiz what would happened if it happened again, and he just gave the most logical response possible: “he better not”. This is the definition of a made-up story, and a great example of why so many people get sick of hearing about these teams and this rivalry. That being said, I still look forward to watching it. 8:14 PM: The Sixers and Magic are underway in Philly for Game 3. Good old Sammy Dalembert picked up his first foul 14 seconds into the game. Doesn’t look like a great crowd, maybe just late arriving? I just hate that Willie Green is starting for this team. 8:20 PM: Speaking of Big Papi Ortiz, he just struck out with 1 out and runners on 2nd and 3rd. The Red Sox are gonna have to admit soon that he is not the same hitter anymore and move him out of the 3rd spot in the order, and maybe start looking around the league for a power bat to add. 8:33 PM: Sixers are looking pretty good offensively. Not to rip on Green more, but he’s had about three ugly turnovers already. Andre Miller is awesome. Anyone that claims Iguodala is the “star” of this team, as Tim Legler did right before the game, is underestimating Miller. The Sixers are probably going to have to win Games 3 & 4 if they want to take this series, and this was an encouraging 1st quarter, as they lead 27-21. 8:40 PM: Down in Miami, it’s a familiar story so far for the Phils. They’re down 3-0 going into the bottom of the 5th. The offense continues to do absolutely nothing, with just two hits so far. And the Marlins runs came on a homer by Dan Uggla off of Brett Myers. I’ve seen Myers’s other starts this year, and he’s looked pretty good but just keeps giving up the long ball. I still think he’ll be fine, and the offense will get it going eventually, we all know that. 9:07 PM: I like Donyell Marshall. At this point he basically looks like somebody’s dad out there, lumbering around, but the guy can still flat-out shoot, and Lord knows the Sixers need somebody out there that can do that. The Pistons are looking to get a win against Cleveland, with the game tied going to the 4th quarter. It doesn’t mean much because the Cavs aren’t going to lose this series, but it could be cool to watch Lebron take over if it’s still this close in the last couple minutes. 9:17 PM: Excellent first-half for the Sixers. Orlando is a really good defensive team, but they didn’t show it much in that half, with the Sixers leading 60-49. Also, the crowd did fill-in and they’ve gotten into the game. I wouldn’t want to be in that locker room with Stan Van Gundy right now. He’s a little scary, he might actually kill someone in there. 9:32 PM: In Flushing, Santana ended up going 6 innings, giving up 1 run with 10 strikeouts. They showed a stat in the first inning that since about mid-season last year, Santana is 11-1 with a 1.80 ERA. I don’t care that the guy is 30-years-old, if I had to pick one pitcher to start a team with right now, I’m taking Santana. In the wake of the great trade pulled off by the Eagles, Tuesday’s Top Twelve will be dedicated to trying to find the best 12 acquisitions that Andy Reid has made during his decade at the helm of the Eagles. This list will not include Eagles’ greats of the Reid era who were acquired before he came, thus ruling out Brian Dawkins, Tra Thomas, Duce Staley, the cornerback duo of Troy Vincent and Bobby Taylor, and Jeremiah Trotter or Hugh Douglas (their first times around). This list will take into consideration potential performance, but will weight past performance more heavily. So, in the future, this list may include the likes of Stewart Bradley, Stacey and Shawn Andrews, and even possibly Kevin Curtis or, dare I say, Kevin Kolb. This list will not include the less-than-fantastic acquisitions of Freddie Mitchell, LJ Smith, Old School Blaine Bishop, and Hank Baskett. It also will not include the relative disappointments of linemen Jevon Kearse and Darren Howard. 12. Brian Mitchell (acquired in 2000 as a free agent from the Washington Redskins). Though he came to the Birds late in his career and only stayed for three seasons, there was just something about B-Mitch that made sense on this team, even if all he did was return kicks. He was a master at the art of the kick and punt returns, and you never, ever had to worry with him back there. But, it wasn’t even his Hall-of-Fame play on the field that made him a Top Twelve Andy Reid Acquisition, it was the intense veteran leadership that he brought to the clubhouse. He may have been the best leader a football team has ever seen that did not play offense or defense. He helped create the winning attitude that kicked off the most successful decade in Eagles history. 11. DeSean Jackson (acquired in 2008 as the #49 overall draft pick from University of California). The jury is still out on Jackson, so it was very hard to put him on this list at all, but I am a sucker for what he did as a rookie last year. After oh so many of Andy Reid’s swings and misses with wideouts in the draft, all signs point to possibly knocking it out of the park with Jackson. Attitude aside, this guy brought it and brought it good all year last year, quickly becoming the go-to guy for McNabb at a position at which most experts agree is, by far, the most difficult for rookies to succeed. I still want Anquan Boldin, but even if the stubborn front office makes the same mistake for the 9th year in the last ten, I feel a little comforted by the presence of a #1 receiver on the roster already. 10. Jeremiah Trotter (re-acquired in 2004 as a free agent from the Washington Redskins). He would be MUCH higher on this list if Andy Reid had drafted him, but his original stint with the Eagles began in 1998, as a third-round pick out of Stephen F. Austin. Then again, he probably would not make the list if it was just his play during his second tenure here that counted. He had clearly lost a step when he came back from his free agent foray to Washington in 1994. But, what he had lost to age, he more than made up for with leadership and intelligence. The “quarterback of the defense,” Trotter was an extension of Jim Johnson on the field, knowing every gap that needed to be filled and doing it with his patented intensity. 9. Mike Patterson (acquired in 2005 as the #31 overall draft pick from USC) and Brodrick Bunkley (acquired in 2006 as the #14 overall draft pick from Florida State University). As successive first-round picks at the same position, it is all too easy to lump Patterson and Bunkley together into one, albeit extremely large, package deal. And, though the early returns probably indicated that the Birds had missed on not one, but both of these guys, last year told a wholly different story, and I think that we can expect more of last year’s performance in the future from these two. Despite a couple apparently wasted seasons, these two guys both emerged last year at levels at or even above that which anyone could have hoped for their 3rd and 4th seasons, respectively. Now, entering their primes together, I expect big things from these two big men going forward. But, then again, I always tend to overvalue linemen on both sides of the ball (more on that in a minute), so I may have done that here too. 8. Trent Cole (acquired in 2005 as a fifth-round pick from the University of Cincinnati). A fifth-round pick that is a certifiable Pro-Bowler; that does not happen every day. But, that is what the Eagles got in 2005’s fifth-round–a bonafied “steal” in Trent Cole. At first, he just looked like an over-anxious guy who was trying to make the team, but he just kept making plays. And, he hasn’t stopped since. The guy is a menace on the line and has clearly outshined the much more revered (and higher paid) Kearse and Howard. Cole is now the unquestioned leader of a very good defensive line and may be the most under-appreciated superstar in the NFL. 7. Lito Sheppard, Michael Lewis, and Sheldon Brown (all three acquired in 2002 as the #26, #58, and #59 overall draft picks, respectively, from the Universities of Florida, Colorado, and South Carolina). Another package deal comes straight from the 2002 draft, which was not received well in Philadelphia, if I recall correctly. Living in Philly, at the time, I distinctly remember the outrage of fans–and even many Eagles reporters/”experts”–at the Eagles’ draft choices. At the time, the Eagles had three Pro Bowl players in the secondary–cornerbacks Troy Vincent and Bobby Taylor and free safety Brian Dawkins. Plus, the team was coming off an NFC championship appearance fueled mostly by their defense, so heading into the 2002 draft, it appeared that they had other needs, specifically to put weapons around their budding star of a quarterback. But, Andy Reid & Co., as usual, did what they wanted to do, not what the prevailing opinions would have them do. They had 3 picks in the first two rounds, and instead of doing what 31 other NFL teams do and draft positions where they have the greatest need, the Eagles decided to use those picks in the area of their greatest strength–taking three defensive backs. But, in retrospect, the move was as brilliant as it was odd. Jim Johnson knows that in order for him to blitz as often as he does, he has to have cornerbacks that he trusts to leave on islands. He also knows that his defense is rather complicated and takes time, repitition, and guidance to learn well. So, the two corners came in, learned from their Pro Bowl mentors and came of age at the PERFECT time–just as the precipitous decline of cornerbacks started to hit Taylor and Vincent. By that time, they older, more expensive guys were let go, and Sheppard and Brown stepped right in and became Pro Bowlers, themselves. It was actually an impressively seemless transition that never skipped a beat, despite replacing 3/4 of the unit. 6. Jason Peters (acquired in 2009 in a trade with the Buffalo Bills for a 2009 first-round pick and an undisclosed 2010 late-round pick). The impetus of this Top Twelve list has yet to play a game for the Eagles and he is already here at #6–that is how highly I think of this move. There are questions about Peters’ attitude and work ethic, but that just sounds like sniping from his jolted lover of an ex-team. What has never been questioned are his size and his talent. For his size, Peters is unhumanly athletic–being a former tight end. He is, by many accounts, the best left tackle in football, and he is only 27. This is a complete steal for the Birds who, if Stacey Andrews can bring himself and his brother to their potentials, now have one of the best two or three offensive lines in football. This is a coup. 5. 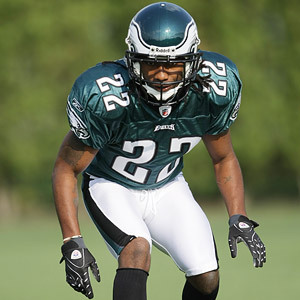 Asante Samuel (acquired in 2008 as a free agent from the New England Patriots). The best cornerback on the planet became an Eagle last offseason, took a little while to get acclimated to the defensive system, and then exploded with a FANTASTIC second-half last year. Expect Samuel to continue his dominance this year. As I mentioned earlier, having great corners enables Jim Johnson to do all the things he wants to do on defense. Did anyone notice the difference between the Eagles defense in the first 8-9 games last year, as opposed to the final 7 plus playoffs? I firmly believe that was just a case of Asante learning the system and feeling comfortable. Once that happened–around mid-season–Johnson was able to dial up all the blitzes he wanted to. This should carry on right into 2009, all because of the greatness that is Asante Samuel. 4. Terrell Owens (acquired in 2004 as a free agent from the San Francisco 49ers). Now, I know the Eagles chapter in the bestselling novel that is TO’s career has been closed and only lasted 21 games, but what a chapter it was! Obviously, TO did more to wreck this franchise than any other player, probably, in Eagles history. But, he also brought them to a place that they have only other been one other time in their history–the Super Bowl. The one time Reid went out and got a big-time receiver and it was the one year that the Eagles offense was unstoppable. The Eagles were in desperate need of a big-play wide receiver before TO’s arrival and since his departure. Because of 2004, it is hard to argue with this acquisition not being among the best of Andy Reid’s tenure, regardless of 2005 or thereafter. And, this all from a guy who wasn’t even in the country to enjoy ’04 and who returned just in time to suffer ’05. 3. Jon Runyan (acquired in 2000 as a free agent from the Tennessee Titans). I wanted to put TO in the top three because he led them to the Super Bowl, but that just goes to show you how much credit is thrust upon the loudmouthed jerks and how little is given to the quiet professionals. Jon Runyan also “led” his team to Super Bowl XXXIX, he just did so in a much more dignified, professional manner. And, he also “led” this team to four other NFC title games. The rock of an offensive line that was asked to pass block FAR too often, yet did so with unrelenting success, Runyan, a free agent pickup in 2000 earned his weight in gold–and that’s a lot of gold–over nine incredibly consistent and dominant seasons. The 6’9″, 330-pound right tackle may be heading for Canton one day, and it will be wearing Eagles Green. 2. Brian Westbrook (acquired in 2002 as the #91 overall draft pick from Villanova University). What is there to say that hasn’t already been said about the greatness of Brian Westbrook. A third-round pick that may have only fallen in the Eagles’ laps because he played his college ball down the road, Westbrook has been the most versatile, potent offensive weapon that I have ever seen wear Eagles’ green. Asked to do so much more than just be a lead back, the diminutive Westbrook has meant everything to the Eagles his entire career. The old cliche is apt here: “As goes Brian Westbrook, so go the Eagles.” It is hard to imagine anything even resembling this run of success without him. Oh, and how about that 2002 draft? The first four selections all making the Top Twelve of Andy Reid’s tenure? Wow! 1. Donovan McNabb (acquired in 1999 as the #2 overall draft pick from Syracuse University). Andy Reid’s first-ever acquisition as an NFL head coach/executive remains, to this day, his best. Franchise quarterbacks come along once in a generation, if you’re lucky. And, the Andy landed one on his first consequential day on the job. Everyone knows the story (and have heard countless times from nationwide Wilbon sycophants who fall over themselves to unoriginally rip Philadelphia fans at any opportunity) of how Reid “pulled a Reid” by going against public perception and desire by unpopularly selecting McNabb over Ricky Williams and a chorus of boos. Little did we know that this one pick–his first–is sort of a blueprint of the next decade of the Andy Reid Era in Philadelphia. Unexpected. Exceedingly unpopular. Cold, but calculated. And, most of all, brilliantly successful. The 1999 draft will forever be remember by the 3 QBs taken 1-2-3 and then two more at #11 & 12. Five quarterbacks picked in the first 12 selections. Plus, add Shaun King (second round) and Brock Huard (third round) to the mix and you have a historic draft for QBs. But, what do King, Huard, Tim Couch, Akili Smith, Daunte Culpepper, and Cade McNown all have that Donovan McNabb does not? Busted careers. Out of the 7 quarterbacks taken in the first three rounds (including five in the first dozen picks), only McNabb became a franchise signal-caller. And a franchise quarterback is, my friends, the best commodity an NFL franchise can acquire. Any disagreements, omissions, comments? Feel free to post your them, just know that this list is correct. I know that the Harry Kalas story has been done a lot, but honestly, it’s all deserved, so I have one more post for him. In the past couple of days, a lot of the national media and various players have chimed in on how they felt about “Harry the K.” And, since I never got to meet the man, personally, my tribute was more of how he affected my life. But, let me recount some of the ways this great man affected the lives of those that knew him personally. Mike Schmidt, who was born and raised in Dayton, OH, said that his parents and other family members would come see him every time the Phillies were playing the Reds in Cincinnati. And, he said that Harry made it a point to go to the hotel where Schmidt’s family was staying (not the team hotel, where Harry was staying) to say hello and spend some time with them. And, apparently, Schmidt wasn’t the only player for which he would do that. Don Tollefson said that he was the master of ceremonies for a banquet in Harry’s honor, and Harry’s speech consisted of thanking everyone and praising Tollefson and company for their hospitality and such. He made no mention of himself in any way. That was Harry’s humility. Jim Fregosi, the manager of the 1993 Phillies and a part of baseball as a player or manager for a half-century now, recounted the fact that Harry always sat on the back of the airplanes with the players, just to get to know them and have fun with them. Fregosi said that he was more than an announcer, he was a part of the team. Tonight, I went out to a theater and saw Sugar, a movie about a fictional Dominican baseball player and his path from the baseball academy in his native country to the minor leagues in the Midwest. One of the cliches that’s repeated numerous times during the film is, “It’s just a game”. Of course, as we all saw just two days ago, with the passing of the great Harry Kalas, it is not “just a game”. For many people, it is much, much more than that, and this film does a great job of showing how that’s true for Latino players trying to make it to the big leagues. Sugaris the second film from the writing/directing duo of Anna Boden and Ryan Fleck (their first film, Half Nelson, has nothing to do with sports, but is also very good). While the movie is undoubtedly baseball-centric, it really isn’t a “sports movie”. It’s a coming-of-age story about a young man that happens to play baseball. It gives an inside look into what Latino ballplayers go through as they leave their families behind and are shipped off to a strange place, and how the “system” of Major League Baseball may or may not be treating them fairly. The main character, Miguel “Sugar” Santos, is played by Algenis Perez Soto, who is not an actor. The filmmakers interviewed hundreds of Dominicans before settling on him, and he gives an outstanding performance. One of the things that stood out to me is how different the experience of minor league baseball is for poor players from poor countries. Most of them have no skills other than playing baseball. They have the hopes of their entire family on their shoulders and there are basically only two outcomes: make the majors and become wildly rich and famous, or be released and be left with virtually no options after spending most of their young lives in blind pursuit of baseball success. The difference is obvious during one scene when Sugar is talking to a teammate who was a first-round pick out of Stanford. Sugar asks him what he would do if baseball didn’t work out, and the teammate says that maybe he’d go to graduate school. Granted, there are many American minor-leaguers that don’t have a degree from Stanford, but they generally have a lot more options than your average Dominican, and it doesn’t hurt that they can speak English. The stakes are a lot higher for these guys, and you certainly feel for Sugar when he’s getting booed during a rough outing for his minor-league team. All in all, it’s an interesting look into baseball’s pipeline to Latin America, and it also delves into more general issues of immigration and integration into America. Check it out if you get a chance. There is just something about a baseball announcer that is unlike anyone else in the life of a sports fan. It is different than a favorite player or coach. It is even different than announcers of other sports because, well, there is just something about baseball. Something with which you live your life. I think it has to do with its omnipotence, its daily presence in our lives. Football is, arguably, a more popular sport in America these days, and, the big college sports may have more die-hard followings, but there is nothing like a baseball season and its 162 games. You live your life with a baseball team. Every night there is another game; a game much like the game last night and almost blurrily similar to the game tomorrow night, but, in many ways, so unique, so totally different, so independent. There is a game played whether you have had a tough day at work, a relaxing day on the beach, or just another day doing whatever it is you do with your life. Each game is a paradox in that it is rendered almost meaningless by the grueling, interminable 162-game schedule, yet so timelessly meaningful for everyone invested in those 25 men who just happen to wear the colors of your city. For the sports fan, baseball is the background music to all of life’s events that take place from April to October. And, if the game itself is the background music of your life, your home team’s announcer is your narrator. Well, I lost the narrator of the first 30 years of my life on Monday afternoon, and though I have never met or even been in the same room as Harry Kalas, my life will never be the same. When Michael Jack Schmidt hit his 500th home run off Don Robinson of the Pittsburgh Pirates, I was eight years old and waiting in a car for my mom, outside of a hardware store in Phoenixville, listening on the radio. Harry was right there with me. When Mitch Williams struck out Bill Pecota to clinch the 1993 National League Championship Series, I was 14 years old in the living room of the Havertown house in which I grew up, watching the television with my mom, my dad, and my brother. Harry was right there with me. When Chase Utley made his major league debut, I was 22 years old at Veteran’s Stadium, listening on a walkman and cracking peanuts with a couple of my long-time childhood friends. Harry was right there with me. When Brett Myers froze Wily Mo Pena with a curveball to clinch the 2007 NL East title, I was 28 years old in the upscale New York City apartment of one of my college fraternity brothers, watching the game on a desktop computer with my future wife, my cousin, and one of my best friends. Harry was right there with me. When Brad Lidge struck out Eric Hinske to win the 2008 World Series, I was five months shy of 30 years old, in the garage of my brother’s apartment in Media (100 miles from my Baltimore home on a Wednesday night) with the TV muted, listening to the radio with my wife of three weeks, my parents, my brother, and my cousin. Harry was right there with me. Yesterday, when Ryan Howard spoiled the home opener for the Washington Nationals, I was three days into my 30’s and sitting at my office desk in Washington, DC, listening to the game’s radio broadcast on the internet, as I did my work by myself in my little cubicle. For the first time in my life, the Phillies were playing, but Harry was not there with me. It is hard to come to grips with the grief I am feeling for the passing of a man whom I have never met, yet has colored my life with his subtle paintbrush for all of my 30 years. 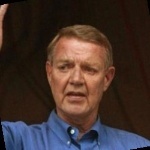 I am dressed in black today, as Harry Kalas, the narrator of my world, has passed on. He has left an indelible imprint on my soul, always in the background of the events that have shaped the man I am today. Thank you, Harry, and may you rest in peace knowing that your life’s work has been worth even more than the joy with which you approached each and every one of your living days. So, with a heavy heart, but vivid and loving memories, I say goodbye to the voice of my life; goodbye to My Narrator.